← Romance Weekly- It’s Giveaway day! KMGN: This is really frightening. I, for one, am an avid reader. My entire family reads, including my husband. I don’t understand how anyone can not enjoy a good book or a good story. What do you think about this? Is it true? Reading is vital to education on any topic. 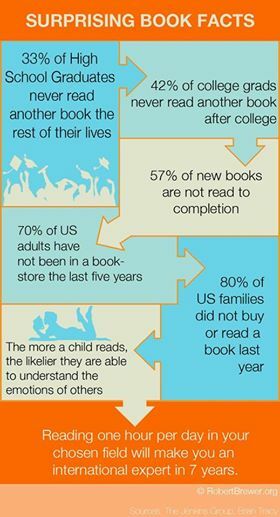 These are sad statistics. Fiction, non-fiction, read something. Open your mind. Interesting. Shared this on my Facebook page. Thank u for this info.